Nicknames: Lu, Sky, Walker, Wormie... and whatever else you wanna call him. Personality: Luke is impatient, impulsive, reckless and has little concern for his person safety. He has a talent at lying, which he used frequently on his adoptive parent. Besides all this, he's a kind, caring young boy who just wants to have fun. He loves his family and friends, and has a large sense of loyalty to them and won't hesitate to jump in and protect them. Strengths: His bravery, to stand up for himself and others. His determination, to prove himself better than is expected. His love of fun, and how he uses it. His humility, from being raised in a poor area. Weaknesses: His impatience, it usually gets him into fights. His lack of concern for himself, gets him into dangerous places. His recklessness, which usually ends up getting him in serious trouble. His fear of dying unknown, because he doesn't want to be a nobody. 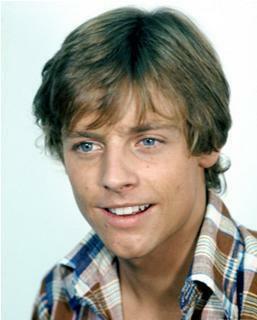 Backstory: A few days after being born, Luke was adopted by his uncle Owen and his aunt Beru. He was a troublesome child that almost instantly showed signs of magic. From breaking glass to flooding the bathrooms, he destroyed one thing a day. As he started getting older, he ran away a lot, feeling trapped in his small home. One night he found himself in trouble but was saved by a mysterious stranger who carried Luke home after the boy was knocked out. After that, he tried to be better but couldn't help but get excited when his Hogwarts letter came in.